Ahead of 2019 Lok Sabha and Assembly polls in Haryana, the Chief Minister Manohar Lal Khattar on Tuesday announced Rs Two per unit reduction in power tariffs for domestic users consuming up to 200 units per months. Making this announcement during the on-going session of the Assembly, the CM said electricity consumers, with monthly consumption of up to 200 units, will be charged Rs 2.50 per unit instead of existing rate of Rs Rs 4.50 per unit. The new power rates will be applicable from the next billing cycle beginning from October. Khattar said in case a family limits its monthly electricity consumption up to 50 units, the electricity rate would then be applicable at the rate of Rs 2 per unit. The CM said the reduced tariff would ensure saving of Rs 437 per month to the consumers, which constitute about 46.6 per cent. Khattar also announced to provide free of cost electricity connections to those dhanis (hutments) in the state which are situated within one kilometer of Lal Dora (official boundary of a village) of villages. He said any such cluster with minimum 11 residents even if in a single family will be eligible for the power connection. The CM said a another scheme is also under the active consideration of the state government under which a cluster of 11 houses within one kilometer radius would be provided free of cost electricity connection, who will apply for the same. The aim of the state government is to ensure that each household in the state has electricity connection he added. 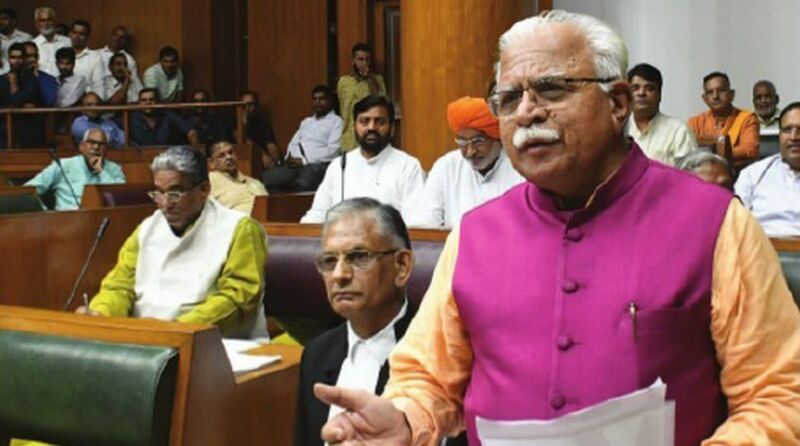 Khattar, who termed it as a “historic decision”, made these announcements on the third day of the ongoing monsoon session of the state assembly on Tuesday. The CM said that the state government is also considering to enhance the power supply to agriculture connections. At present, additional three hour electricity supply is being ensured in morning and evening hours under the scheme. He said that it has also been decided that the left out isolated household would be provided electricity through renewable energy so that each household in state has the facility of electricity. The CM said that during the last about four years, the state government has taken several initiatives. In some of them, Haryana is leading in the country.